On National Trails Day, Take a Hike with Us! Park at the end of Redondo Beach Road. Coastside Land Trust will have a special display outlining the proposed stairs to Redondo Beach. Light refreshments will be available. All are welcome! The trail is open to hikers, bicyclists, and equestrians. Learn about our coastal wildflowers with local botanist Toni Corelli, then practice your new skills on a wildflower walk led by Toni Corelli and Avis Boutell. Workshop and walk tickets sold separately on Eventbrite. Please join us before Night of Lights on Friday, December 7 from 4-6 pm for the Show Opening and Artists' Reception, at the Coastside Land Trust gallery at 788 Main Street, Half Moon Bay. For our Winter 2018 art show, Coastside Land Trust has partnered again with Half Moon Bay High School art instructor Sean Riordan to showcase landscape paintings by his advanced placement studio art students. These accomplished artists have work hard to capture the essence of our rural, coastal environment. The show will run through December. If you cannot make it to the opening, please call the office at (650) 726-5056 to check our hours or arrange to see the show. Due to Air Quality Concerns, this Wavecrest Workday is cancelled. Please join us for the "Coastal Fall" Art Show. Explore the beauty of Coastal Fall through art. Gallery hours are Thursdays, Fridays, Saturdays, and Sundays 11AM - 3PM & by appointment. For more information and pictures of the art work, please check out our Gallery page. Please join us for the "Coastal Fall" Art Show Opening & Artist's Reception. Meet the artists and explore the beauty of Coastal Fall through their art. Friday, September 21, 5:00-8:00 pm. Gallery hours are Thursdays, Fridays, Saturdays, & Sundays 11AM - 3PM & by appointment. Join Coastside Land Trust and 60,000 other Californians as we come together to clean up our state’s beaches and waterways. Coastside Land Trust’s cleanup site will be Poplar Beach in Half Moon Bay. A little lamb told us the restoration herd will be on the move on Tuesday, August 14th. Join Coastside Land Trust at the intersection of Railroad Avenue & Poplar Street, Half Moon Bay around 9AM-ish to see the herd move to our Railroad Right of Way conservation easement. For our upcoming show, “Coastal Fall,” we are looking for pieces that reveal the ordinary and astounding beauty of our coastal environment from the shoreline to the barnyard. In keeping with our mission, we are particularly interested in works that focus on coastal land and/or those who inhabit its various environments. Artwork in all media will be considered. We invite you and other artists you may know to submit. The submission period will be from July 27 to August 24 and the Jury's selection notification will be August 26 to 27. The show will run from September 21 to October 7, 2018. Please click here for the application and instructions. We look forward to seeing how you represent Coastal Fall. Join Coastside Land Trust on National Trails Day on June 2nd from 10am - 2pm. CLT will be set up at Seymour Bridge in Half Moon Bay. Stop by and we will introduce you to the Coastal Trail Phase II through Wavecrest to Redondo Beach Road! Join Coastside Land Trust at Wavecrest Open Space for Wavecrest BioBlitz. We welcome volunteers as leaders and participants in identifying as many living things (birds, mammals, fish, reptiles, butterflies, insects, spiders, trees, flowers, mushrooms) as possible along the Wavecrest trails. If you can help, please email Barbara Dye blkdye@gmail.com for more details and to sign up. Sponsored by Coastside Land Trust, Peninsula Open Space Trust, and California Academy of Sciences. Join us on the coastal prairie for a habitat restoration workday at Wavecrest on Saturday, January 20th from 10 - Noon. We'll continue our work removing invasive plants around the coastal trail, picking up trash, and abating graffiti. Meet at the Smith Field Ballparks at the end of Wavecrest Road in Half Moon Bay. Wear layers, sturdy shoes, and sun protection. If you plan to participate in graffiti abatement, wear clothes that can get muddy! Under 18 must be accompanied by an adult. Join us on Friday, December 8th 2017 from 4-6 pm for our Winter 2017 Art Show Opening and Artists' Reception, at the Coastside Land Trust gallery at 788 Main Street, Half Moon Bay. Coastside Land Trust has partnered with Half Moon Bay High School to showcase students’ inspired portrayals of the places that we coastsiders hold near and dear. Under the direction of art teacher Sean Riordan these talented young artists have created breathtaking coastal landscapes that will evoke wonderful memories of life on the coast while offering a fresh perspective of our coastal community and environment. The show will run from December 8th – 22nd 2017. Please call the office to arrange to see the show (650) 726-5056. Join us at the Purissima Old Town Site for one of our small, docent-led tours to learn how one of the oldest Coastside towns disappeared. Enjoy a chance to see lots of native flora and fauna and learn about the history of the people who used to live on this site, located on the corner of Highway 1 and Verde Road, on the way to Elkus Ranch. There is uneven terrain and poison oak, so please wear sturdy shoes, long layers, sun protection and bring water. Under 18 must be accompanied by an adult. Tickets are free. Saturday, November 4, 2017. Historical tours at 10am, 11am & noon. Land Trust to show his love of the San Mateo Coastside. Mackenzie, 22, began performing concerts at the age of 4, having fallen in love with music just a year before when his grandfather brought him a very small keyboard at a yard sale for just a dollar. At the age of eight, Melemed portrayed the young Mozart in the Discovery Channel series “Medical Mystery.” He has performed at The White House, Carnegie Hall, with the Boston Civic Symphony Orchestra and with the New England Philharmonic Orchestra. Mackenzie has given recitals throughout the United States, Czech Republic, China, Finland and Japan. 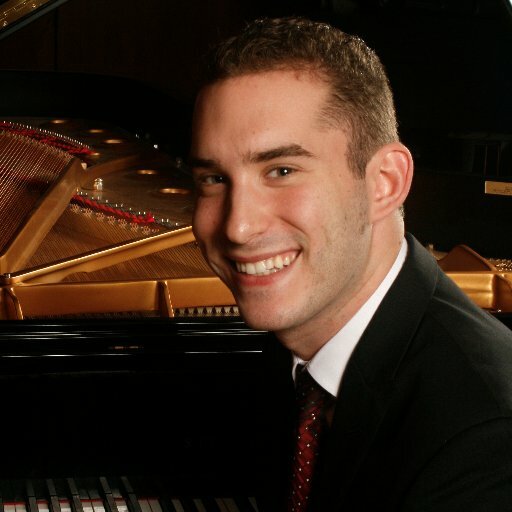 He has won numerous national and international piano, including 1st place at both the Hamamatsu International Piano Competition and the Iowa International Piano Competition. Mackenzie received his Bachelors in Music at The Julliard School of Music and is finishing up his Masters, also at Julliard. Join the Coastside Land Trust to celebrate the planning and trail alignment for thefinal gap in the Coastal Trail through Half Moon Bay. Enjoy visiting with open space supporters, review the trail planning maps, and participate in a tour of Phase II of the Wavecrest Coastal Trail. Bring your own champagne glass. Light refreshments. Coastside Land Trust will be 20 years old later this year. It is wonderful to celebrate CLT's milestone with Wavecrest Coastal Trail, Phase II. Meet at the south side of Seymour Bridge. Learn about our coastal bats with bat expert Greg Tatarian, and enjoy field identification with echolocation and photos. Join us on the coastal prairie for a habitat restoration workday at Wavecrest on Saturday, April 22nd from 10 - Noon. We'll continue our work removing invasive plants around the coastal trail, picking up trash, and abating graffiti. Meet at the Smith Field Ballparks at the end of Wavecrest Road in Half Moon Bay. Wear layers, sturdy shoes, and sun protection. If you plan to participate in graffiti abatement, wear clothes that can get muddy! Under 18 must be accompanied by an adult. Volunteers celebrating a successful workday with the pile of trash pulled from the Wavecrest property. The Coastside Land Trust and the Ritz Carlton Hotel are delighted to announce a free piano concert by the very talented Mackenzie Melemed in the hotel’s lovely Miramar Room overlooking the ocean. Do not miss this opportunity to hear this award-winning, Juilliard-trained pianist perform live. Mackenzie Melemed is a Masters student at The Juilliard School of Music in New York City. Since the age of four, Mackenzie has performed more than 600 concerts for audiences around the world. At age nine, he was asked to perform for President George Bush at a fundraiser in Boston. This led to him being invited to play at the White House during the Christmas holidays for five consecutive years. He has played at Carnegie Hall, with the Boston Civic Symphony Orchestra and with the New England Philharmonic Orchestra. He has given concerts in the Czech Republic and across China. In 2014, he won 1st Prize at the International Piano Academy Competition in Japan. Join us on the coastal prairie for a habitat restoration workday at Wavecrest on Saturday, January 28 from 10 - Noon. We'll continue our work removing invasive plants around the coastal trail, picking up trash, and abating graffiti. Meet at the Smith Field Ballparks at the end of Wavecrest Road in Half Moon Bay. Wear layers, sturdy shoes, and sun protection. If you plan to participate in graffiti abatement, wear clothes that can get muddy! Under 18 must be accompanied by an adult. 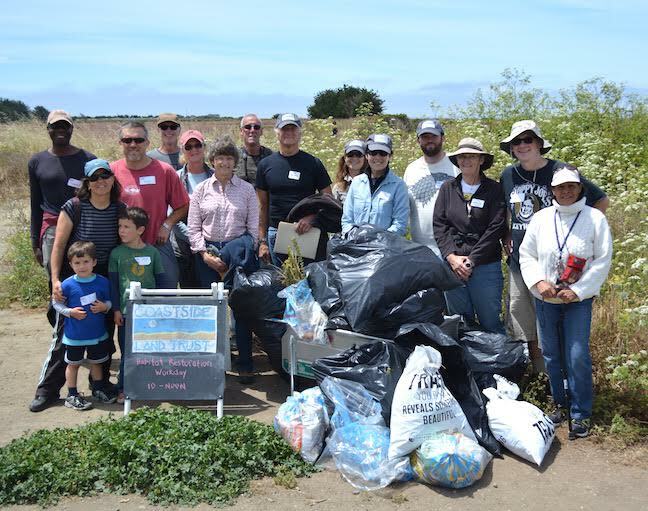 Join Coastside Land Trust and 60,000 other Californians for the annual Coastal Cleanup Day! Coastside Land Trust's cleanup site will be Poplar beach. When: Saturday, September 17th; 9:00am - noon. Meeting Location: Poplar Beach at the west end of Poplar Street. What to bring: Gloves, buckets, sturdy shoes, long sleeves, sun protection. Call for Artists: "Celebrating the Coast"
For our upcoming show, “Celebrating the Coast,” we are looking for pieces that reveal the ordinary and astounding beauty of our coastal environment, from the shoreline to the barnyard. In keeping with our mission we are particularly interested in works that focus on coastal land and/or those who inhabit its various environments. Artwork in all media will be considered. We invite you and other artists you might know to submit. The submission period will be from August 15 to 22 and the show will run from September 23 to October 7, 2016. Please click here for the application and instructions. We look forward to seeing your visions of celebrating the coast. Join Coastside Land Trust on Saturday, June 4th for the Songbird & Seabird Workshop and Walk. Tickets are available below through Eventbrite. Coastside Land Trust welcomes world-renowned birder Alvaro Jaramillo as he presents Songbirds & Seabirds of the Coastside through an entertaining workshop. Learn about behavior, field marks, ecology and migratory patterns of local birds. His new book "Birds of California" will be available at the workshop. Join expert birders from the Sequoia Audubon Society for a guided walk at Wavecrest in Half Moon Bay. Guided walks will be in small groups and explore coastal prairie and coastal shrub habitats along the area's undeveloped walking trails. Stable shoes are recommended.